This is something I should've made a long, long time ago because I like to make a lot of custom foods, and I always hated that dirty state on the serving platters when taking screenshots. It's just something I never got around to creating and uploading. This also shows no dirty state on Maxis dining plates. 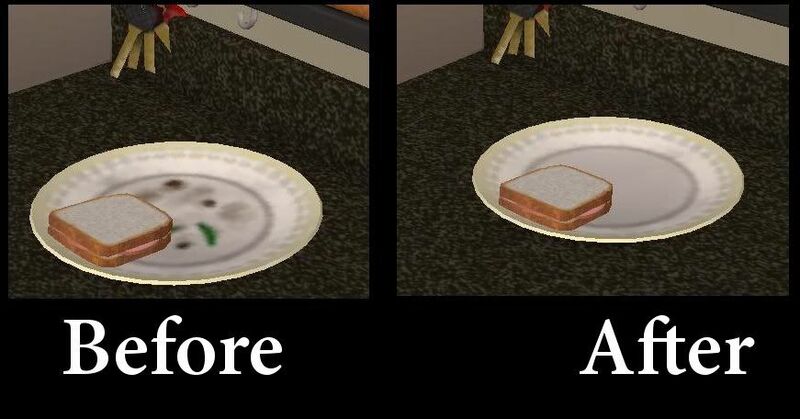 This is a default replacement, so you can't use this with any custom dinnerware replacements unless it's part of a custom dish the creator made with their custom food and not a global override for all Maxis dinnerware. Enjoy!